Since 1990, Advanced Health Professionals [AHP] has helped thousands of patients in the Norwalk Connecticut area recover from pain and injury. AHP is the Norwalk's leading provider of Physical Therapy, Chiropractic, Massage Therapy and Acupuncture services. 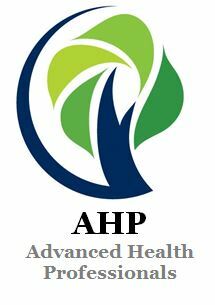 Welcome AHP - We are your Physical Therapy, Chiropractic, Rehabilitation, Massage and Acupuncture Office in Norwalk CT.
AHP has been a mainstay of patient-centric care in the Norwalk Connecticut area since 1990. We have had the privilege of working with thousands of patients for a multitude of injuries and health issues. Our practice has a focus toward dynamic rehabilitative care incorporating Chiropractic, Physical Therapy, Massage Therapy and Acupuncture as needed and in combination to achieve optimal results. Our goal is to bring our patients out of pain and dysfunction quickly; and then to teach them to care for themselves with our mission of Feel Well. Live Well. Age Well. Taking pain relief and healing to the next level with our innovative style of care that gets results for even the toughest conditions and injuries. Our team of Board-certified specialists offer a wide range of therapies and customized treatments to meet each patient's unique needs. As a result, many of our patients leave our practice feeling and moving better that they did before they were injured. Each of our chiropractors and physical therapists delivers extensive experience and specialized expertise. They work in close collaboration to implement pain and injury care that is truly comprehensive and customized. As a result, they have achieved excellent results for all types of patients, including those who have undergone many other treatments without success. Whether you are a new patient or a returning patient with a new injury, our rehabilitation specialists will conduct a thorough exam for patients needing a pain or injury assessment. They will also take the time to answer your questions and discuss your specific needs and goals. We offer comprehensive care across several healthcare disciplines to maximize healing, decrease pain, and get our patients back to feeling well so they can well well to ensure they age well. There are no cookie-cutter approaches to care here at AHP! Our team of physical therapists and chiropractors will then tailor a treatment plan to relieve your pain and with the goal of restoring essential strength, improved range of motion and flexibility. Your treatment plan may include physical therapy, chiropractic care, acupuncture and/or supportive massage therapy. More importantly, our treatments are based on a true partnership and collaboration both inside our office with our staff of dedicated, passionate chiropractors, physical therapists, and massage therapists, and outside with our extensive healthcare specialist network based in the Norwalk Connecticut area. We go beyond the scope of your specific injury to take your goals to heart - whether it's returning to work or getting back on the court or playing field or just a desire to be more active in your life with friends and family. We work closely with you every step of the way - providing the support, commitment, and compassion to help you not only achieve a fast recovery but to come out stronger than you were before!